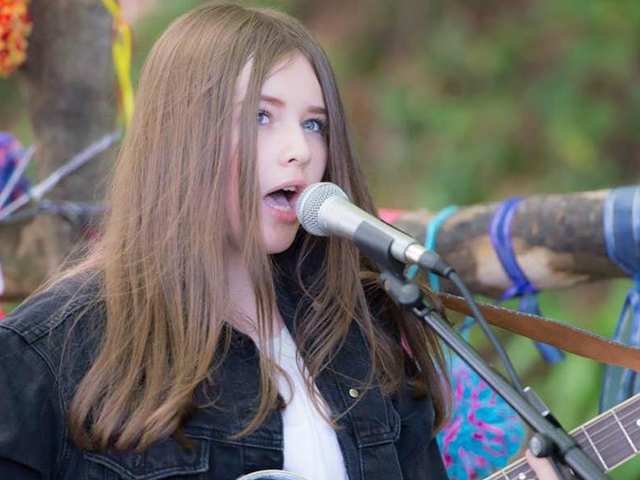 Kacey is a 15 year old local singer/songwriter/guitarist and has played at most of the 2017 music events on the island, including Reasons, groove de lecq, gig y don , peas and glove, havre des pas festival amongst many others. She regularly plays at the Trafalgar Inn and is a keen supporter of all of the open mics. She’s a member of Acoustic Jersey and the songwriters society, and won the 2017 under 16 battle of the bands, gaining platinum in the under 18 section of the Jersey Eisteddfod. She’s a young up and coming artist who is learning and improving her craft . Kaceys’ attention to detail when she is practicing and performing is incredible for someone so young.